Throughout the world ‘cuisine’/culinary artistry, and related ware — such as cups and glasses, plates, bowls, knives & forks, food preparation utensils, etc. 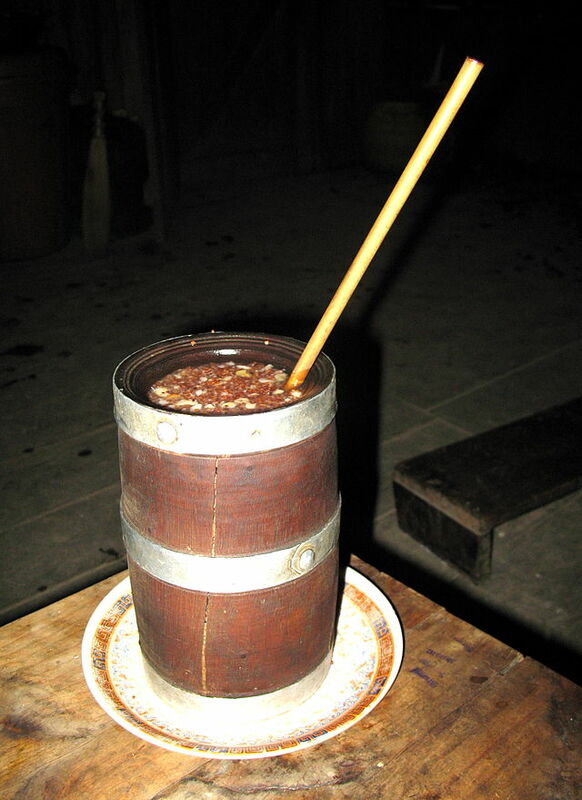 — form fields of enormous diverse cultural and utilitarian creativity; this from the earliest times to those of the present in which we find, for example ‘fast food’ eateries and takeaways represented at one end of the scale and at the other the traditions of use of particular utensils [‘chopsticks,’ etc.] and methods of food and drink preparation and consumption, that are influenced by ages old formalities and symbolism, at the other. 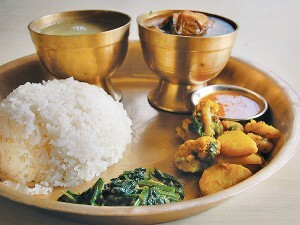 In Nepal this diversity exists in abundance, and witnesses, through its own cuisines /culinary arts and related food and drink ware, the nation’s cultural diversity, ancientry, and how both its culinary arts and food creation and comsumption processes are still commonly linked to the land/agriculture, and spiritual rites and symbolisms. 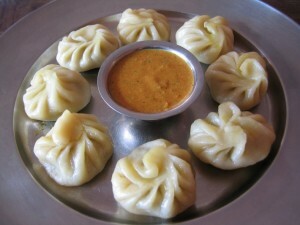 ‘Momo, म:म: – also known as momo-cha ममचा, is one of the most popular dishes in Nepal. They are bite-size dumplings made with a spoonful of stuffing wrapped in dough. Momos are usually steamed, though they are sometimes fried or steam-fried. The filling of meat or vegetables becomes succulent as it produces an intensively flavored broth sealed inside the wrappers. … read more.